Center in Kandersteg Switzerland in July 2020. 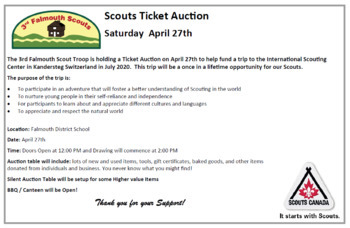 This trip will be a once in a lifetime opportunity for our Scouts. -To participate in an adventure that will foster a better understanding of Scouting in the world. -To nurture young people in their self-reliance and independence. -For participants to learn about and appreciate different cultures and languages. -To appreciate and respect the natural world. 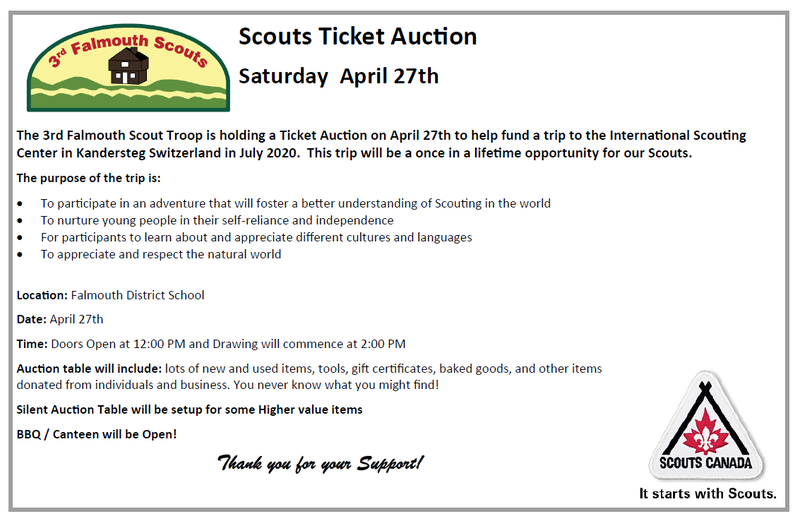 Auction table will include: lots of new and used items, tools, gift certificates, baked goods, and other items donated from individuals and business. You never know what you might find! BBQ / Canteen will be Open!